Louise Driggers’ 3D printed Sad Face action united 3D printing community in a protest against those who disrespect designers’ rights. This happened when an Ebay seller took more than two thousand designs and pictures from file-sharing websites, like Thingiverse, and started selling the prints. This seller has also been using stolen photographs for advertising purposes. 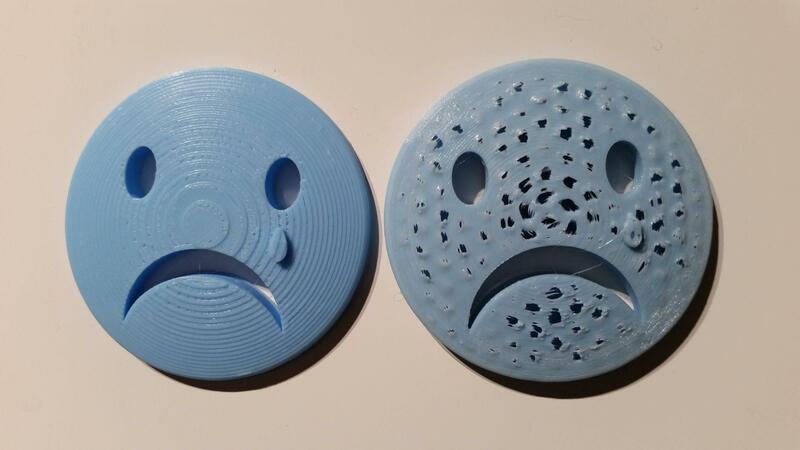 Sad face action was widely discussed in the Comments section under Louise’s model on Thingiverse. It accumulated more than 800 comments at the time this article was written. Also, leading YouTubers like 3D Printing Nerd, Maker’s Muse and Thomas Sanladerer supported Sad Face action in their videos. All this raised awareness of this issue and generated a lot of response on all possible social platforms. This has started an uneasy battle against Creative Commons license abusers. The topic about copyright for 3D printing designs and 3D printed items is one of the most controversial. 3D printing at home is new and developing fast. However, the legislation does not cover many important angles of ownership and usage. With 3D scanning technology becoming widely available and affordable, there are even more questions occurring. Apart from the copyright issues, current legislation is not ready to control the appearance of 3D printed objects that can be dangerous or harmful for society. 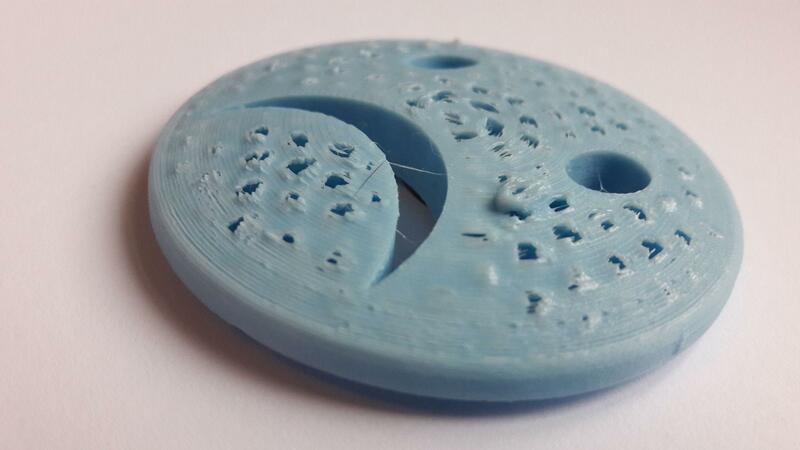 Think about 3D printed weapons or coins. In an attempt to join the Sad Face action we accidentally created more of a remix than the original. We called it a “chicken pox” effect. Surprisingly there was only one setting to change in the slicer. Decreasing retraction distance by one millimeter fixed the problem. We realised that Bowden type of extruders like in our Delta Wasp are sensitive in this respect. Delta Wasp, for example, has more than 15 cm distance between an extruder and the hot end.